Heritage Charles Frodsham and Co Ltd.
Charles commenced business on his own soon after marrying Elizabeth Mill (1813-1879) in 1834. He is recorded as living just north of the City at 5 Navarino Terrace, Hackney, but gave various addresses for the business before finally settling at No.7, The Pavement, Finsbury. These early years were very productive and it wasn’t long before Charles had established himself as one of London’s leading chronometer makers. Upon the death of John Roger Arnold, Charles purchased the whole of the Arnold business, including the goodwill, and in 1844 moved his business and family into the former Arnold premises at 84 Strand. Trading continued as Arnold & Frodsham Chronometer Makers for a further fourteen years. Soon after acquiring Arnold’s, Charles commenced correspondence with George Biddell Airy, seventh Astronomer Royal. Their detailed letters, which continued until Charles’ death, reveal a mutual respect and contained many solutions to a multitude of horological topics. Amongst these there were discussions on quick trains as advocated by Earnshaw, experimental balances to address Middle Temperature Error, the properties of balance springs, the reversed fusee, galvanic apparatus, Greenwich Mean Time, and the application of Airy’s remontoire to clocks. Charles was an erudite writer publishing numerous articles, discourses, pamphlets and tables in theoretical and practical horological matters. In April 1847, he read a paper to members of the Institution of Civil Engineers, entitled: On the Laws of Isochronism of the Balance spring as connected with the higher order of Adjustments of Watches and Chronometers. The lecture was considered to be so excellent that the Institution awarded Charles their highest award, the Telford Gold Medal. He was also the first person to write a dedicated work in the English language on the History of the Marine Chronometer, which was published in 1871. The Great Exhibition of 1851 gave many clock, watch and chronometer makers the opportunity to show the world their latest developments, and Charles was no exception. 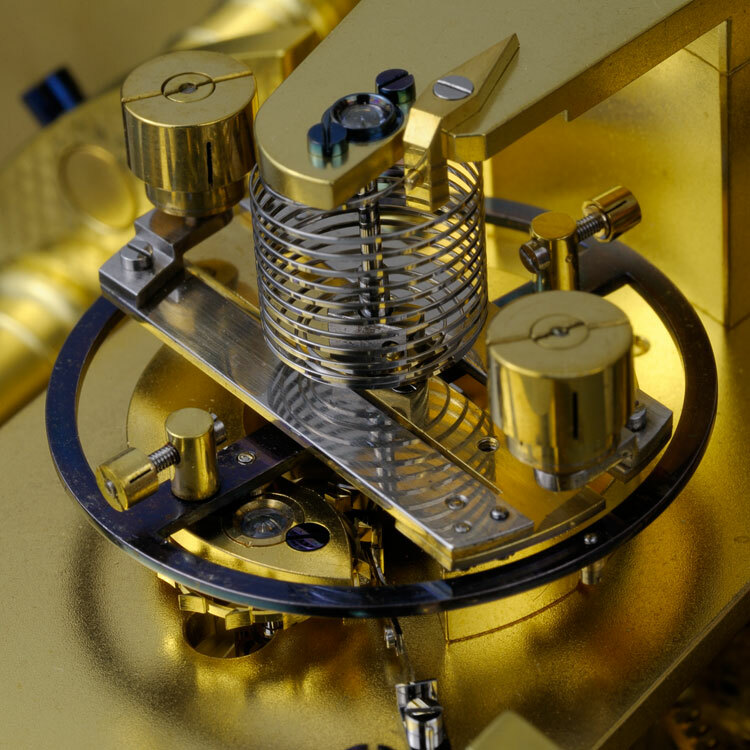 He exhibited his new caliper marine chronometer with compensation balance (incorporating Arnold’s bi-metallic bar as auxiliary compensation), as well as lever and chronometer watches built on the same principles. 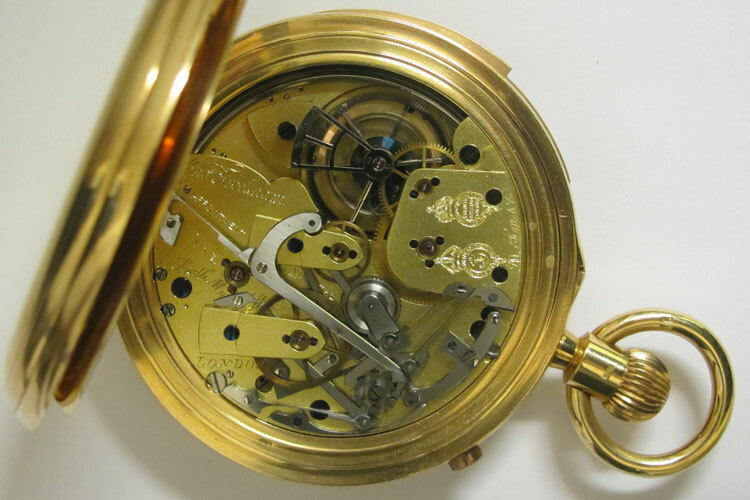 In addition, he showed an astronomical regulator and an array of watch and chronometer work, carriage and portable chiming clocks, railway watches, and accurate gauges for measurement. 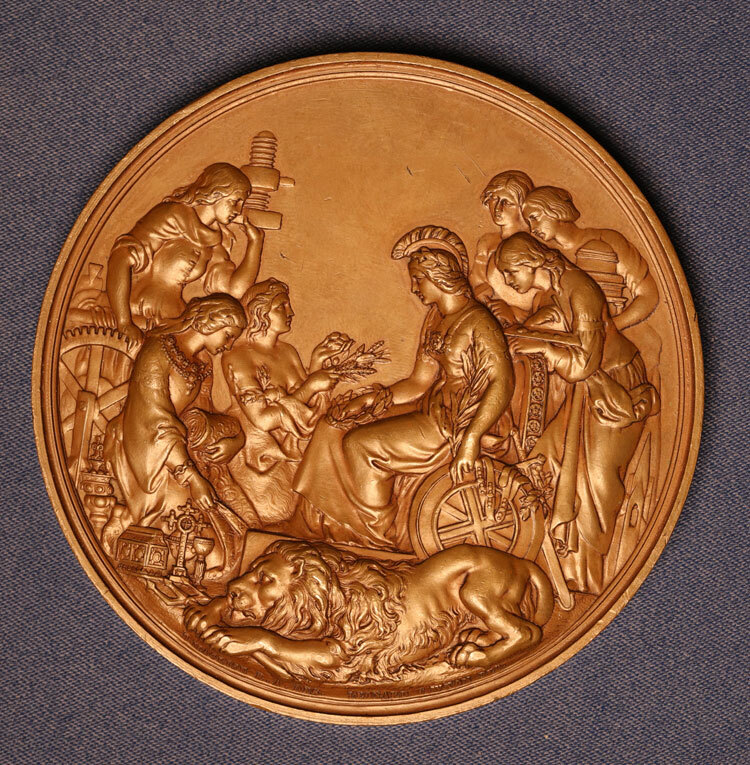 Charles received a first-class medal for his exhibits, and the firm went on to attend all the major International Exhibitions in the 19th century, receiving fourteen honour medals and diplomas. By the mid-1850s Charles had established himself as one of the period’s most eminent horologists. In 1854 upon the death of Benjamin Lewis Vulliamy, he purchased the goodwill of the business and, upon Airy’s recommendation, succeeded Vulliamy as Superintendent and Keeper of Her Majesty’s Clocks at Buckingham Palace. This prestigious title aided the sale of clocks, watches and chronometers worldwide, Charles having overseas representation and agents in America, France and Spain. 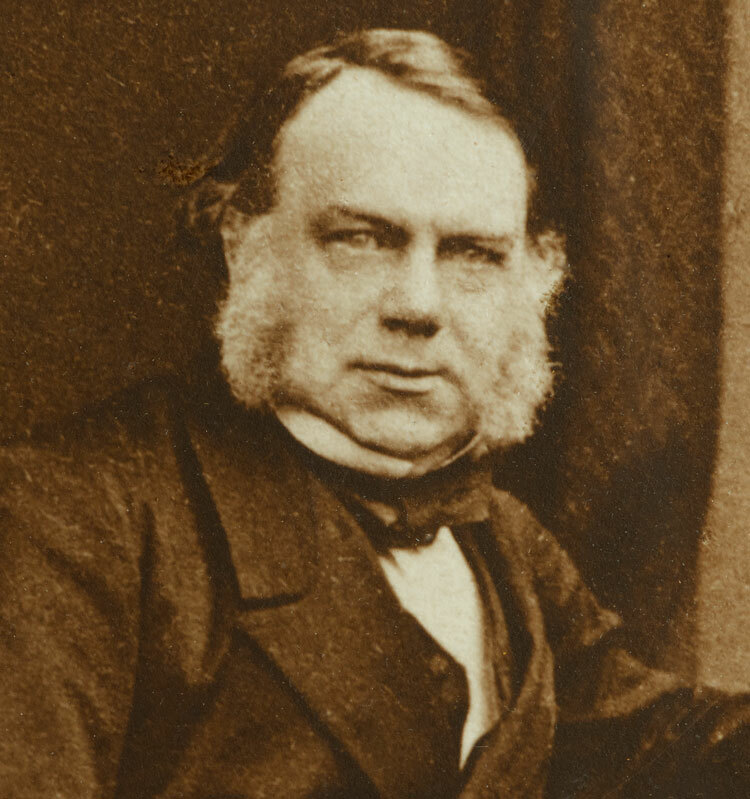 Charles was a liberal supporter and judicial advisor to the societies connected with horology, being one of the founding members, and later Vice President, of the British Horological Institute in 1858, and a Liveryman of the Worshipful Company of Clockmakers, in which he served as Master in 1855 and 1862. 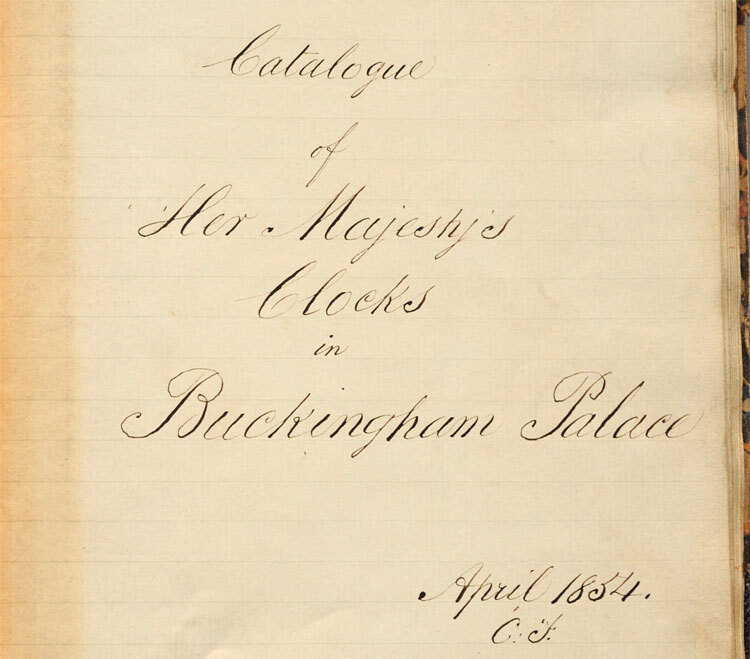 At the 1862 Great International Exhibition held at South Kensington, Charles not only exhibited but was also one of the jurors, and wrote the detailed horological section report. Amongst his exhibits were a month duration marine chronometer, new ‘Duo-in-uno’ balance springs, and three new compound balances for chronometers. The principle of one of these, the ‘Double compound Micrometric Equation balance’, was later developed into the ‘Frodsham balance’. Charles died on the 11 January 1871 at his home at 26 Upper Bedford Place, and was buried at Highgate cemetery, London, in the family vault next to that of his father. His obituary succinctly stated that ‘during a long and honourable career, he distinguished himself by his devotion to the science of horology, which he greatly advanced, and his clever works upon the subject are regarded as authoritative by members of the trade'. The firm continued under the leadership of Charles’s son Harrison Mill Frodsham (2 Jul 1849 – 24 Sep 1922). The young Harrison immersed himself in horological theory, taking out various patents, and publishing his unsurpassed Some materials for a Résumé of Remontoires in a series of articles for the Horological Journal. 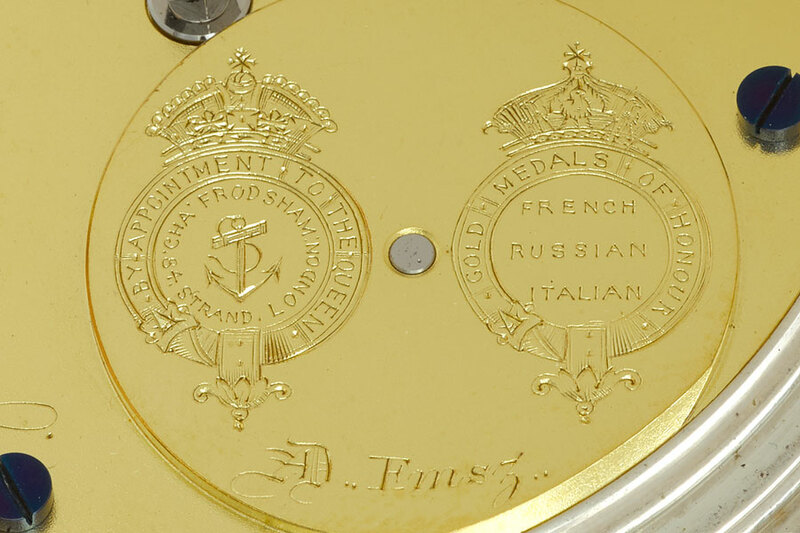 Frodshams continued to supply marine chronometers for trial at the Royal Observatory, No.3423 attaining the first Admiralty Premium in 1871, and in 1885, No.3532 with Frodshams Trochilic escapement (invented with the aim of lessening the danger of tripping), obtained a trial number of 31.9. 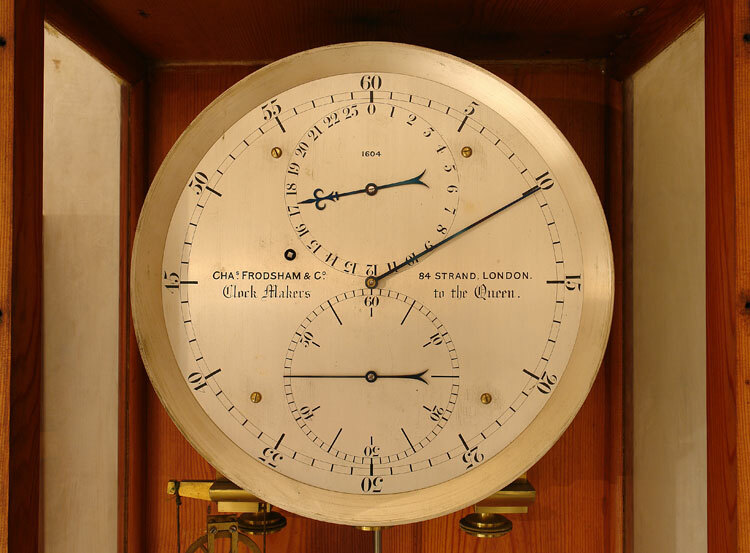 Between 1831 and 1920 The Admiralty purchased 60 Charles Frodsham marine chronometers and a number of pocket chronometers and deck watches, most notably No. 07586, which was used by Ruth Belville, the ‘Greenwich Time Lady’ to distribute time around London [this watch is now in the Lord Harris collection at Belmont in Kent, under the care of the Harris (Belmont) Charity]. During the last quarter of the 19th century Frodshams made sidereal regulators for a significant number of the new astronomical observatories being set up across the world at this time, most notably Sydney and Melbourne in Australia; Padua, Palermo and Naples in Italy; and Harvard College and Lick in the USA. Supplementing the standard production of high-grade keyless lever watches, Frodshams manufactured a number of precision calipers, often with additional complications. Approximately 90 Tourbillon and Karrusel watches were made, many of which went to the Kew Observatory, and later Teddington, for exacting trials over 45 days. Some 10,300 pieces were submitted for Kew ‘A’ testing between 1884 and 1912, with the highest marks ever awarded for an English watch, being attained by Charles Frodsham Tourbillon No.09182 with 93.9 marks [this watch is also in the Lord Harris collection at Belmont in Kent, under the care of the Harris (Belmont) Charity]. Watches of this type were inscribed with the letters AD. Fmsz. This cryptogram for the year Anno Domini 1850 is formed by the numerical sequence of the letters in ‘Frodsham’, with the addition of Z for zero, and was used from that date on as a sign of quality. From 1884 the firm traded as Charles Frodsham & Co., becoming incorporated in 1893 and moving to new retail premises at 115 New Bond Street in 1895. With the rapidly emerging car industry in the first years of the 20th century, a new branch specializing in motor accessories was opened in nearby Dering Street in 1911, to sell speedometers and car clocks. These were supplied by Robert Benson North, later a director of Frodshams, from his Watford factory. The main business moved again in 1914 to premises at 27 South Molton Street, London, where it remained until considerable damage caused by an air-raid in 1941, forced a move to the trading premises of Philip Clowes at 62 Beauchamp Place. Clowes had been in partnership with another horologist, Captain John Henry Jauncey, (Clowes and Jauncey 1932-39), who specialized in antiquarian horology and secured some of the important chronometers for the collections in the National Maritime Museum. From the late 1940s through to the 1980s, the firm concentrated on the production of mantel and carriage clocks, producing amongst other things the ‘Princess’ clock, presented in 1947 to HRH Princess Elizabeth on the occasion of her marriage. In 1997 the Company moved to 32 Bury Street, where it continues today, specialising in English precision horology. A fuller account of the life and times of Charles Frodsham and the company can be found in The Frodshams, The Story of a Family of Clockmakers by Vaudrey Mercer, Published by The Antiquarian Horological Society, 1981. © Charles Frodsham & Co Ltd.